A warm August evening, and after a long day at work, I had just finished bedtime with my kid and was unwinding in the kitchen with my wife. We were preparing for dinner; grilled chicken, and I was about to wander out on the patio with my beer and fire up the grill. A message came in from an old friend – an internist in Ohio – saying simply “we need to talk tonight.” Focused on my plans for the evening, I simply responded that I had a number of competing deadlines before midnight, and that if he let me know what was going on, I could try to connect. One certainly doesn’t have to look very far to note that public perception of medical professionals seems to be worsening. 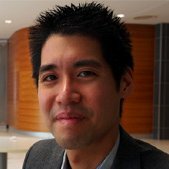 In the midst of provincial contract disputes here in Canada, animosity around patient satisfaction scores and litigation in the U.S., and healthcare systems worldwide under strain as industrialized populations age beyond capacity, patient respect for physicians seems to be at a nadir. Fast forward to this past summer, where residency was already a distant memory, and my ten-year med school reunion was slated for the fall. My classmates were now staff physicians building careers and families. As a public health physician, I had left full-time clinical practice behind, but often recounted to my learners how fun it was getting a consult back from an old friend. It acted, in many ways, as an indirect check-in: “good to see you’re out there, friend – and presumably doing well.” Having participated in the IFMSA as a student, I also enjoyed hearing from friends around the world that were going through similar transitions, even if our staying in touch relied increasingly on social media instead of in-person meet-ups that, the latter made increasingly difficult by distance and life pressures. Six years on, I had long forgotten the Hopkins shooting. After all, while hitting metaphorically close to home, that whole scenario seemed so surreal and seemingly illogical. I should have recognized, however, that as my contemporaries became productive front line physicians, the unthinkable would perhaps become imperceptibly more likely. That’s what made the news I received that August evening somewhat more poignant. In the days after Memo’s murder, the news spread throughout the IFMSA community to practicing physicians the world over. Shock abounded, as in addition to being just an all-round good guy, Guillermo was well known as an excellent surgeon who cared deeply about his patients. Initially murky details came into sharper focus: unhappy with the prognosis and the time it was taking for him to access treatment, one of his patients decided the best way to address this would be to shoot his treating physician. In turn, that patient himself was shot and killed by police while trying to escape the hospital grounds. The months since have seen a return to daily life, though there was a London-based reunion that saw many of us who knew Guillermo reunite, reminisce, and drink a tequila toast in his honour. That he left Mexico, one of the most violent countries on earth, only to be gunned down in a hospital in Central Europe gave me pause. He had gone to work expecting to save lives; not to lose his own. How had it come to this? Data suggests there are other professions that face relatively higher risks of violence in their dealings with the general public: taxi drivers, liquor store and gas station employees, and police officers. (4) The cynic in me felt that perhaps these workers be better prepared than physicians around workplace violence. After all, I rationalised, it might be a matter of expectations, that those engaged in these occupations recognize the risk of violence inherent in their work. Certainly, while a trainee on an emergency rotation might have a story or two, I felt that physicians for the most part naively believe that they are shielded by a purported public respect for the profession. The idea seemingly that patients understand that physicians are there to help, and are trying their best to do right by them. But in thinking again on the shift towards patient-centred care and service, I began to wonder if our risk was ultimately all that different from other professions that also deal with cross-sections of the public. Add to that the fact that one’s health is so highly valued, and that patients might be in extremely vulnerable states, ready to lash out, and my wonderings became even more unsettled. The observed increase in violence against physicians is a clear trend, supplemented by no end of anecdotal stories of physician disrespect; spitting, verbal, and physical assault, online harassment. Many of these would be criminal if done against a transit operator, but such behaviour seems to be increasingly tacitly accepted as part of a doctor’s craft. Now, in fairness, there are a minority of physicians who themselves fail to treat patients and families with respect. But so many others go in with the intention of helping their patients each and every single day, and work on conditions for which the outcome is not fully within our control. When patient expectations fail to align with reality, and things take a turn for the worse, where does that leave the treating physician as a potential punching bag, or worse? Compounding this is the fact that physicians, once revered as infallible and God-like, are now seen as cogs in a healthcare wheel. Cogs that are singularly responsible for achieving unrealistic outcome targets in an increasingly complicated world. Surely this is the pendulum swinging a bit too far, and perception needs to return to the pragmatic middle: physicians as human; determined to do their best in situations of great complexity; trying to work with rather than for patients. Humans with fallibilities, to be sure, but also with feelings, families, and friends. Family and friends who love them, support them, and ultimately pick up the pieces when violence visits. While I myself have largely left clinical practice, I often think of my many friends both in Canada and around the world who still see patients. There are many patients who are suffering, and I know for a fact that the vast majority of their practitioners work their hardest to restore and optimise health within the constraints imposed by the context and system to the very best of their skills and ability. A wise preceptor of mine once said that anger is simply unmet expectations. A fair statement, to be sure; but it does not characterize the expectations, which might very well be unrealistic or misplaced. Are we a new generation of physicians that will simply accept that we are practicing in a riskier, colder, less kind world? Or can we better shape these expectations and address this growing trend of animosity and violence towards physicians before it consumes more lives—for the sake of not only ourselves, but our patients, our communities, and our loved ones? (2) Gomaa AE, Tapp LC, Luckhaupt SE, Vanoli K, Sarmiento RF, Raudabaugh WM, Nowlin S, Sprigg SM. Occupational traumatic injuries among workers in health care facilities – United States, 2012-2014. MMWR Morb Mortal Wkly Rep. 2015 Apr 24;64(15):405-10.